We have seen that phonetics is concerned with how human beings articulate speech sounds through the coordinated use of the vocal apparatus. In contrast, phonology considers how specific speech sounds function systematically in a particular language. In short, phonology is concerned with a language’s sound system. Specifically, it examines the organization of speech units and considers how this transmits meaning. 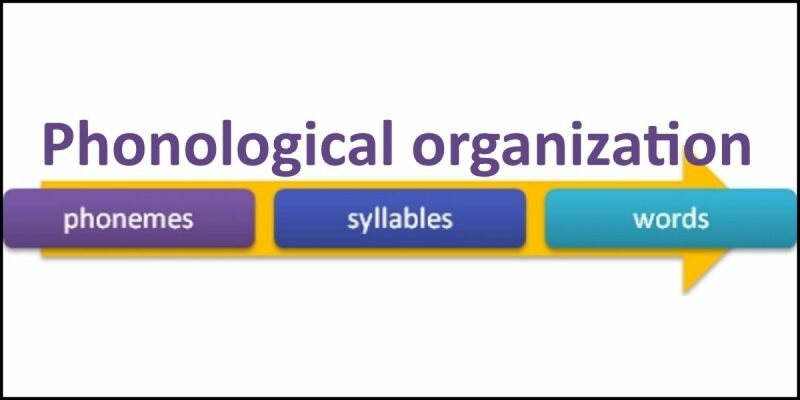 The sound system is organized at least at three levels: (1) phonemic, (2) syllabic, and (3) word. e.g. gap, bid and set. The simplest words consist of just one syllable, i.e. they are monosyllabic, e.g. ton, bad, sip. Many words are, of course, constructed from more than one syllable, i.e. they are polysyllabic. The smallest polysyllabic word is created from the combination of just two syllables, i.e. they form a disyllabic word, e.g. There are, however, examples of words made up of three, four, five and more syllables. In the case of many technical words, such as the names of manufactured chemical compounds, there appears to be an almost endless concatenation of syllables, e.g. This esoteric method of constructing names of chemical compounds, however, is exceptional. Indeed, it follows its own rules of nomenclature as set out by the International Union of Pure and Applied Chemists (IUPAC). In comparison, the everyday, commonly spoken vocabulary of English does not appear to exceed about eight syllables per word.